When a new decision affects the work of your staff or volunteers and, especially, when a change is likely to impact their jobs, it’s critically important that the change is communicated well. The priorities will be to ensure – according to the circumstances – awareness, understanding, acceptance or engagement with the change. If your organisation is dispersed across multiple sites, such as branches, groups or regions, it’s particularly crucial to be sensitive and well-organised in your planning, so all groups are included in announcements when and as appropriate, and have their particular needs addressed. Generally, you will need to work closely with senior management and HR in order to roll out a decent change communication programme. 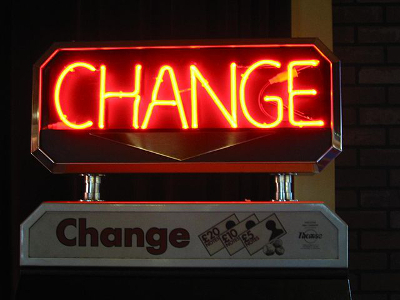 While there can be no perfect set of rules for communicating change in every different context, there are general considerations worth noting, and some guidelines for specific situations. Where possible, report when committees or relevant groups begin talks to reach decisions and report stages in the decision-making process. Timeliness: Don’t sit on major decisions. Say as much as you can as soon as you can, to whoever needs to know. In situations where key stakeholders need to find out first, liaise with HR/management to establish who and where these people are and whose job it will be to communicate with them. Use appropriate channels at appropriate points to ensure that those without intranet access (or whatever) hear at the same time as those with access. Be proactive: Whether the change is positive, neutral or negative, be proactive about communicating it and ensure managers who will be key to communicating the change are proactive about it too. Be honest and transparent: to the greatest extent possible. Ensure clarity and context: Be clear and consistent in your messages. At the same time be aware that a diverse and disparate workforce may demand tailored messages to ensure the changes are made clear and relevant to all. Special staff/volunteer awareness events or Q&A events at national, regional or local level. Keep communicating: A single announcement — or even a single series of announcements, packaged for each constituency of the organisation — won’t be enough to ensure understanding, awareness or acceptance of a major change. Accept that it will take time and an awful lot of ongoing communication to get everyone on board with new habits or working patterns.